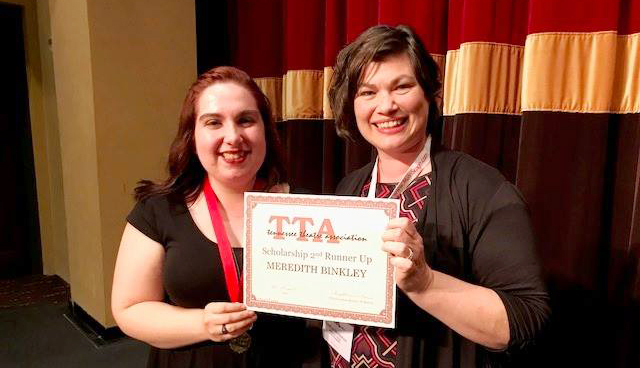 The Mission of the Tennessee Theatre Association is to unite those persons and groups from throughout the state with a common interest in theatre arts and to further the growth and improvement of theatre of all types within the state. Further, the Association's mission is to aim to represent the state of Tennessee in all regional, national, and international theatre organizations that it deems appropriate. The Tennessee Theatre Association is now a part of Amazon Smiles - when you shop you help raise money for our organization. Click the image below to start shopping while giving to TTA! Learn more about the purpose of the Tennessee Theatre Association and our history.